I’m being led to the belief that no gentleman ever exists in a public transportation. It’s rare to see a man giving a seat to a lady, more so to old people or pregnant women. It’s irritating to see big burly men pretending to sleep while their earphones are stuck in their ears. Somehow, I could say that most women are more respectable than a lot of men today. I remember an incident back in 2007 when I was going home from my night shift duty in a BPO company. 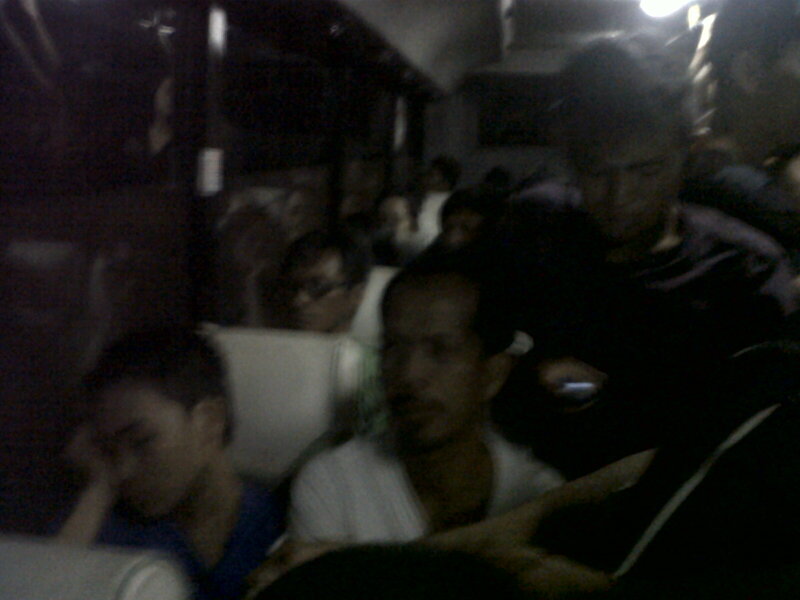 The bus was so full that morning because people are flocking back to their provinces for the Holy Week vacation. In my observation, 90 percent were occupied by men. Just then, a petite mother carrying a toddler came in. She stood among the standing passengers for all the seats were full. There was no one with her. She looked tired because of the heavy luggages she had. I waited, expected that one good man would offer her a seat. Good heavens, there was no one. In my sympathy, I offered her mine. All throughout that bus ride, I stood up despite being tired from an all night’s work. I gave my usual sharp look at the men around me, but they tried to avoid my eyes (or they were just stupid enough not to know these signals). It’s a shame that we’re loosing real men these days. I have heard of similar stories from friends. I wouldn’t mind that I won’t be given a seat because I’m young and capable. What makes me angry is when they don’t give a seat to others like this poor mother. I’ve seen how on most occasions, it is the women who give their seats to elderly ladies or pregnant women. Sometimes, when a seat becomes vacant, the men near it would not offer it to the nearest lady. He instead would race for it like an impatient, little kid. It’s a shame how it is us women who seem to act more gentlemanly than these men. I wonder if this society has lost their respect on women. Somehow, I observed that most men today thought that just because women today are capable of doing a man’s job, they won’t give the respect and rights that women deserve. Most men today have lost their sense of authority, thus losing their responsibility to protect the women in society. This culture of urban comfort has poisoned our identity and position. By observing the pretentious sleepers, I was thinking that these kind of men are the first to back out when war arises. Where’s the sense of courage? We need to regain them back. We have to break out from our sense of complacency. With this, we have to deal with the weakened character in us. We have to understand our roles in society and the rights and privileges of each individual. Women deserve respect and honor, while men should stand as responsible stewards of women as they are the ones in authority. By that kind of culture observed in buses and public transportation, it’s a hint that only a few men understood the value of women, more so their role as men.